The first step is to keep things as broad as possible: Rather than discuss the specifics (such as your will, powers of attorney, assets, etc. ), it is typically better to discuss plans for the future, including goals. While it is entirely possible that your family members haven’t thought about where they might be in, say, 10 years, discussing it together helps ensure that you are on the same page and that you have an opportunity to explain to them how your estate plan reflects the care that you have for them. 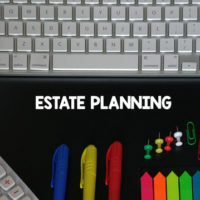 It can provide peace of mind to know what your reasons were for the various estate planning decisions you made. What to do about end-of-life options and choices. Remember, while family decisions may sometimes appear to be about money, in many instances, they are actually more about values, and talking about “values” instead of “money” tends to be easier. For example, is living comfortably or longer more important? What is the best time and/or who is the best decision maker when it comes to funeral arrangements? When you consider relationships instead of finances, sometimes it’s easier to see the path forward. Once you have had that initial discussion, meeting with an experienced estate planning attorney is the next step to ensure that your wishes and desires are translated into the formal document (or that your already-existing formal document is updated to reflect your wishes). However, keep in mind that; even after this initial meeting, estate planning becomes more of a continuous conversation with those in your family and the individuals you’ve designated to serve as agents, trustees, and/or executors. In the end, what you have is a plan instead of your loved ones–in the wake of their grief–having to scramble and deal with complicated legal issues and paperwork; and worst case scenario; conflict within the family over disagreements and specific decisions that were made. With the holidays right around the corner, this could be the perfect time to start organizing your thoughts around having this conversation with your family members, who will likely be in the same place at the same time. Contact our experienced estate planning attorneys in Florida at Moran, Sanchy & Associates today so that we can provide you with any assistance you might need with this important step.